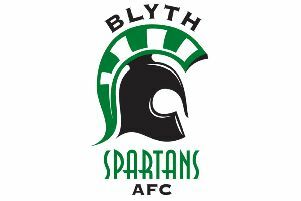 Ian Watson has described Blyth Spartans as an “unbelievable non-league club” after his departure from Croft Park was confirmed. Defender Watson has been appointed as the new assistant manager at National League club Gateshead and that move brings down the curtain on his second spell at Spartans. The 33-year-old has now begun work as number two to new Gateshead manager Ben Clark, but insisted that he will always appreciate the time he spent at Croft Park. He said “It’s an unbelievable non-league club and I love it for what it is. “When I first joined the club, it was in a very different position to where it is now, and we were looking to avoid relegation from the Evo-Stik League. “Tom (Wade) and Colin (Myers) steadied the ship and we didn’t finish too far outside of the play-offs. “I left before the FA Cup run and went to Darlington but when I went back, everything was different again. “We had just been promoted in the National League North, so again it was about trying to stay in the league, but we took everyone by surprise and did really well. “I wasn’t everyone’s cup of tea at Spartans, but I’d like to think they appreciated that I always gave my all on the pitch. “I really think the supporters that go every week are absolutely fantastic. “But if they can get up to 1,000 inside Croft Park every week and really push for it, they would be surprised at what heights the club could reach. Alun Armstrong’s side have hit a purple patch of form and currently sit just one point and one place outside of the National League play-off places. They are unbeaten in any competition since a 3-0 home defeat against FC United of Manchester in early-November. Spartans face a tough set of fixtures over the coming weeks with trips to fellow play-off chasers Altrincham and Chester on the horizon, along with an FA Trophy Third Round tie at National League leaders Leyton Orient. Watson stressed that the club can secure an unlikely play-off spot this season and hailed for Middlesbrough and Ipswich Town striker Armstrong as “an outstanding manager”. He explained “In my opinion, they have a couple of positions where they are the strongest in the league. “Dan Maguire is one of the best strikers in the league, along with Glen Taylor at Spennymoor Town. “Nathan Buddle is in fine form, Peter Jameson looks unbeatable, the midfielders are all doing their jobs. “They are an unbelievable set of players, with an outstanding manager in Alun Armstrong and a brilliant backroom staff. “They’ve got a good management team, a strong changing-room full of talented young players. “I really think they can make the play-offs and I really hope they do.